The History of Race and Protest is an immersive and deeply interesting course. It focuses on the struggle for Black Civil Rights in the twentieth century, looking at leaders such as Malcolm X, Martin Luther King and others, as well as examining other civil rights issues within the movement, such as those of class and gender. One of the most fascinating aspects of the course is its trans-national standpoint, looking at the inter-linkage of Civil Rights movements across the world, not just in the United States but in African Nations and Britain too. The course is interesting for both those who already know a little about the topic, and those who are new to it. You will engage with the sources and writings of these leaders and really try to get to grips with these movements on a national and international level. 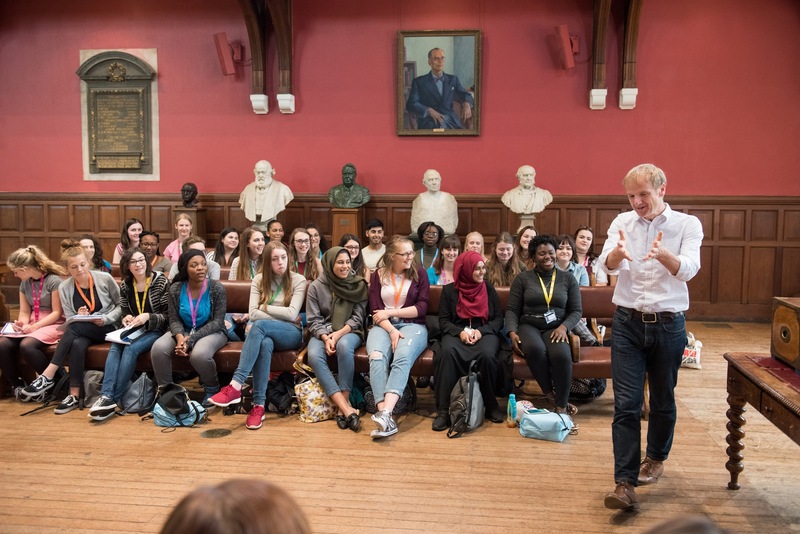 The course itself consists of a wide range of lectures, discussion classes and independent research, culminating with a tutorial, to give you a real flavour of the Oxford experience. Over the course of the week you will write a short essay about the core themes of the course material. Support and guidance will be provided by your student ambassadors, so that by the end of the course, you will be able to confidently discuss your essay with an academic within a small tutorial group. The History of Race and Protest really gives a flavour of a week in the life of an Oxford History undergraduate, and its subject matter reflects a hugely important movement, still alive today, in vibrant and accessible terms.